I was walking along the Mokelumne River just downstream of the Camanche Dam when I first saw a male phainopepla. It was a shiny bird with dark purplish hue. It was an unmistakable sight. I never figured out why this bird has a Greek name (which basically means "shiny robe" in reference to the male plumage) while most other species do not. I guess I am still learning how ornithology works. 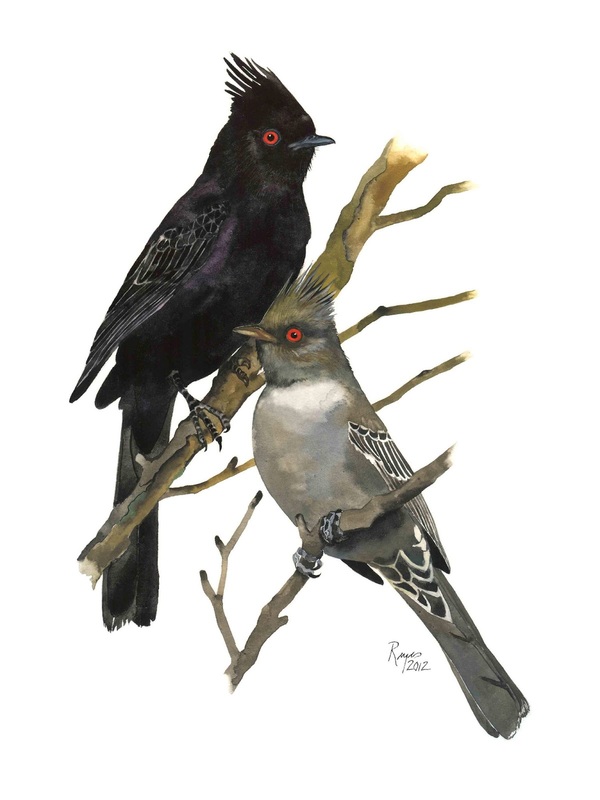 This watercolor painting depicts the male and female of the species.